Bells ring, lights twinkle and carols swirl gently through the room. Christmas time has arrived. Hail and wind pound the house from the outside, but as school is closed we have nowhere to go. We stay in, where it’s warm and smells of pine needles and spicy cake. The Christmas holidays last long but have a lot of things to do. Things that taste good. We will bake a gingerbread house. Only what kind? Glutenfree, for me? Dairy free for Jasmijn? Cooking in our house is no longer easy. 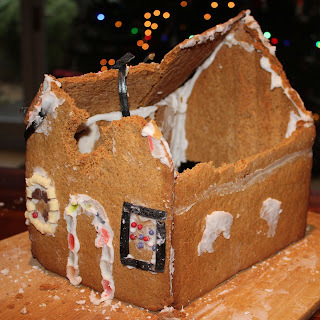 Can I make a solid, easy recipe for glutenfree gingerbread from which I can build a house that won’t fall apart? I like a challenge. . 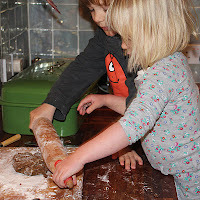 But, I have promised Moodkids Magazine a recipe, with pictures, so I can take no risks. Besides, most of their readers won’t eat glutenfree. To make a long story short I ended with not one, not two, but three recipes. A simple recipe for a quick house, with gluten and butter, but no egg. A glutenfree variation that works. And finally, I baked some traditional german Lebkuchen. 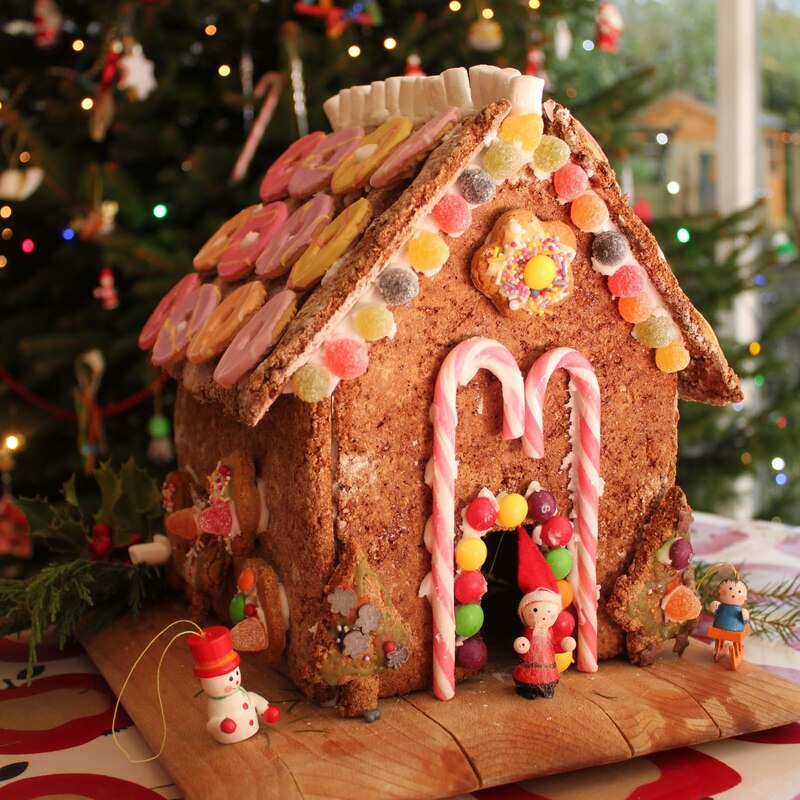 Lebkuchen resembles gingerbead but is spiced with spices not so different to the Dutch speculaas spices. And, it is made with rye flour and no butter. Rye flour contains very little gluten but still builds a strong house. I used a fairly coarse rye flour, and would recommend using a finer one for a better texture. We have a lot to do so I put the kids to work. First we knead the dough. In a large bowl we mix the ingredients.Together we knead all the ingredients into supple dough. 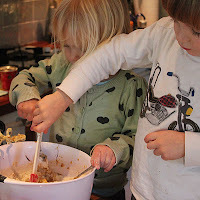 If it is too wet add some extra flour, it should not be sticky. Then we let it stiffen up in the fridge for about half an hour. When it is ready we pre-heat the oven at 200 degrees.
. We bake the walls and roof around 10 to 12 minutes. When they are out of the oven we leave them to cool completely before we touch them. This is especially important with the glutenfree variant, hot biscuit will break. When they are proper cold we can assemble the house. This is best done at night, with no prying toddler fingers and daddy’s helping hands. It then has plenty of time to dry before we decorate. 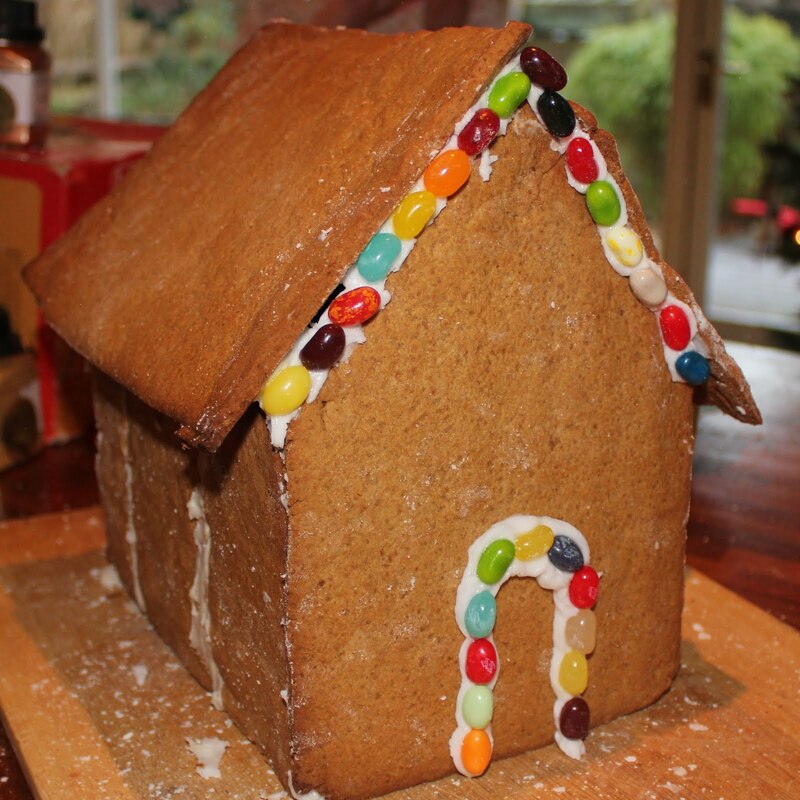 To glue the house together we mix 250 g icing sugar with an egg white. If necessary, add some more icing sugar or some water. It should be liquid enough to flow but when it is runny it will take very long to set. With a piping bag, which you can easily make from a small plastic bag with the tip cut off, we kit the house together from the inside. 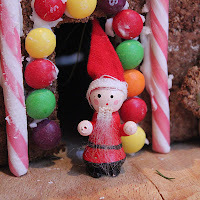 If there are any breakages you can mend these with the icing by gluing broken bits together. You can cover this up later while decorating. 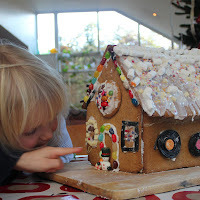 It can be a good idea to let small children not decorate the house directly. 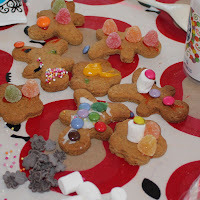 From leftover dough bake some small gingerbread man, Christmas trees, stars or even simple circles. Let the children decorate those and stick them to the house later. 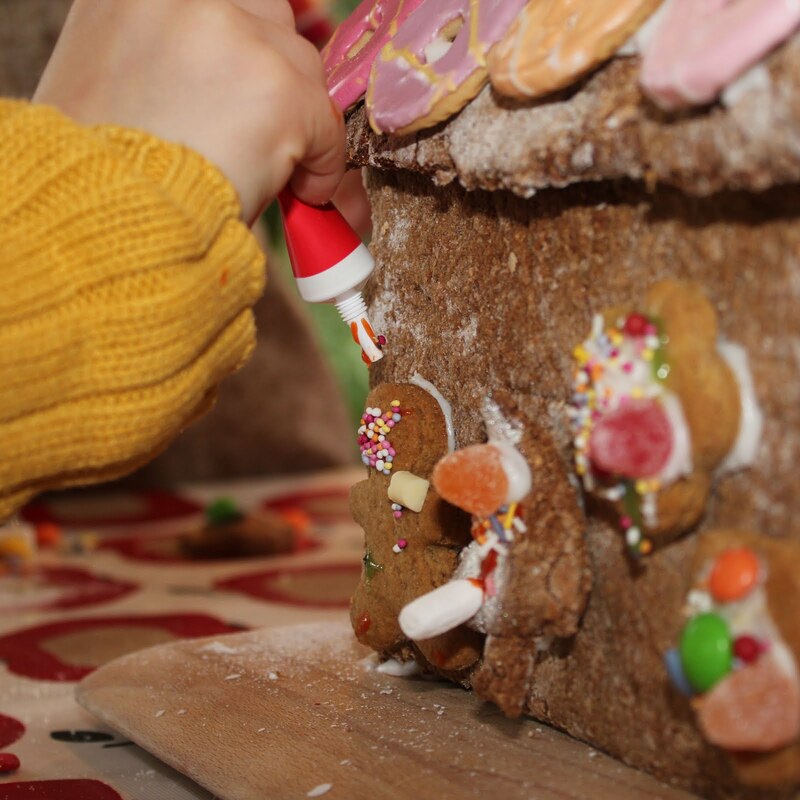 Does your house still look a bit worse for wear? A good snow shower of icing sugar covers up a lot. Alternatively spoon some runny icing over the roof and let it drop down. Knead the ingredients together. Let the dough rest at room temperature for a few hours or overnight. Process as described above, but bake at 165 degrees for around 20 minutes. And so everyone can enjoy one’s house. With or without gluten, dairy, egg or wheat. We hope you will too! Merry Christmas.